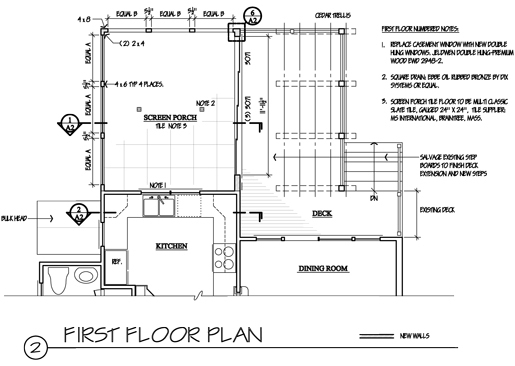 Addition to single family home. It is called Encore 2 because we previously designed additions and remodeling for this home. Last time around we added a side-entry, mudroom, powder room; expanded the kitchen and dining room; and designed a bay to expand a second floor bedroom. 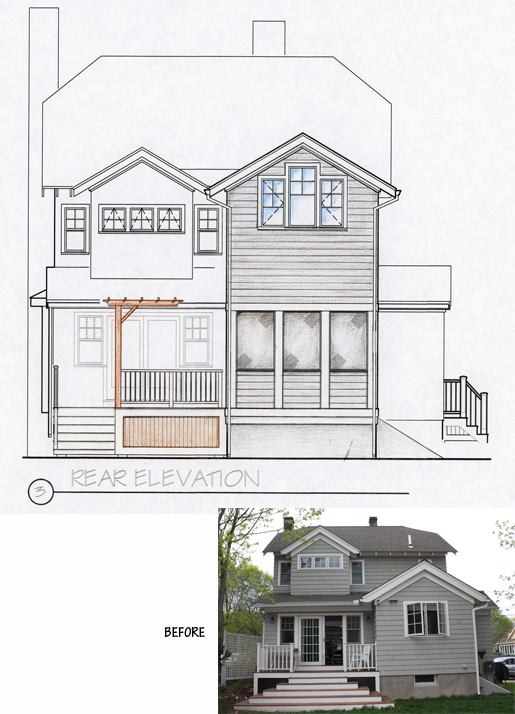 This time the goal was to add a screen porch, deck and a master bedroom suite. We planned for the screen porch to be accessible by way of the new deck directly off the dining room and, for serving, via a pass-thru window from the kitchen. Triple sliding screen panels open between the deck and porch to create a larger space when desired. 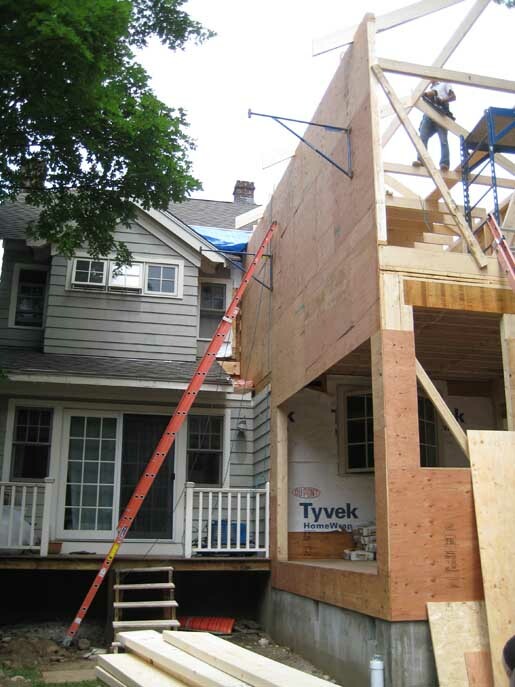 The area above the kitchen addition and porch contains the new bedroom suite. The new areas are small, but in keeping with the modest home. Lots of storage is provided using efficient built-in cabinetry.